The PRA (disaster recovery Plan) is an important point in an information system. In fact it allows to quickly restart the infrastructure in the event of major crash. 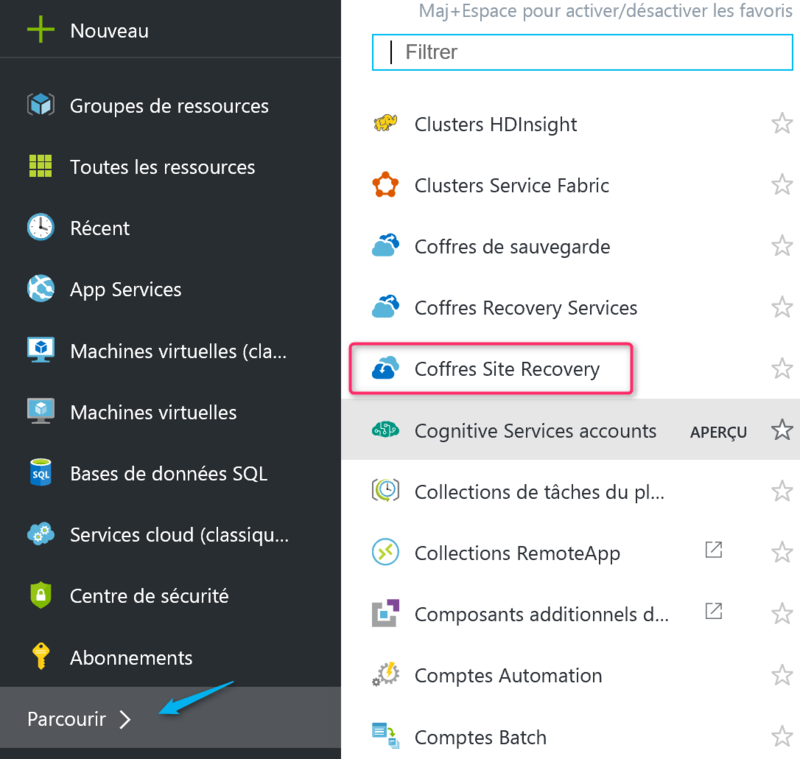 So let’s see here the reseating of a PRA with Azure Site Recovery. The tool also provides the orchestration of replication, Failover and Recovery since a hypervisor Hyper-V or Vmware internal to Azure. 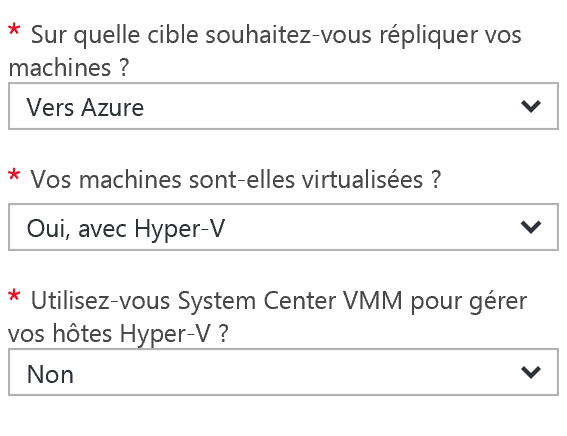 The steps below were made on a server Hyper-V 2012 R2 StandAlone not member of a domain and without SCVMM. 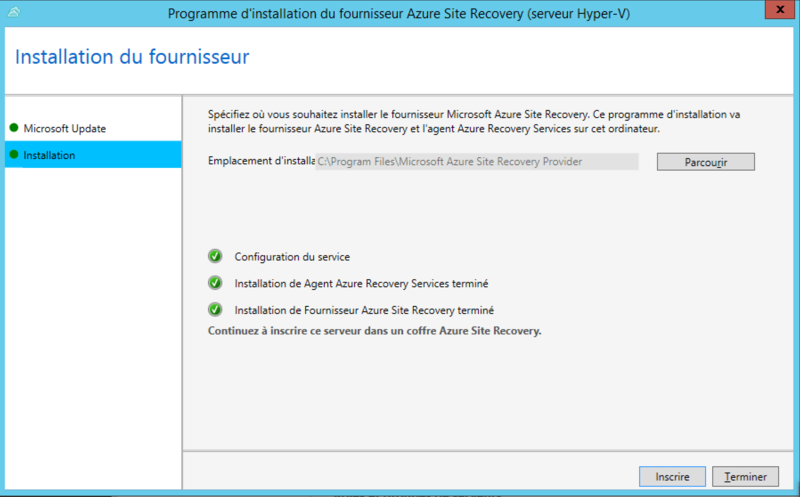 Supplier Azure Site Recovery and agent Azure Recovery Services: provider Azure Site Recovery and Microsoft Azure Recovery Services agent will be installed on the Hyper-V host servers. 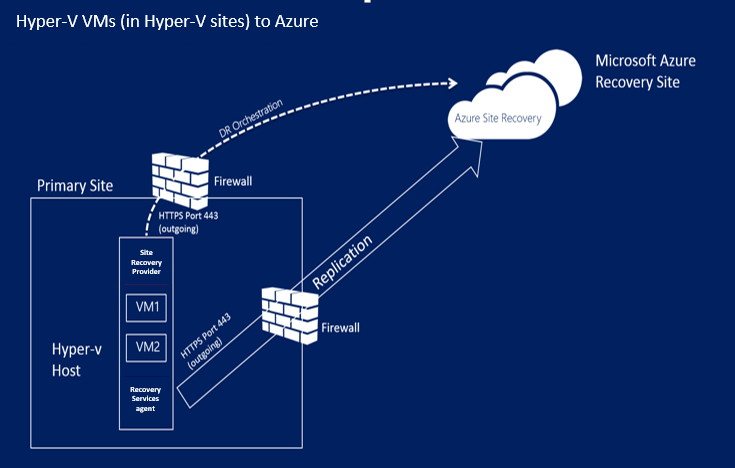 Communication between the supplier and Azure Site Recovery will be carried out using the Https Protocol, this will enable replication of the orchestration. 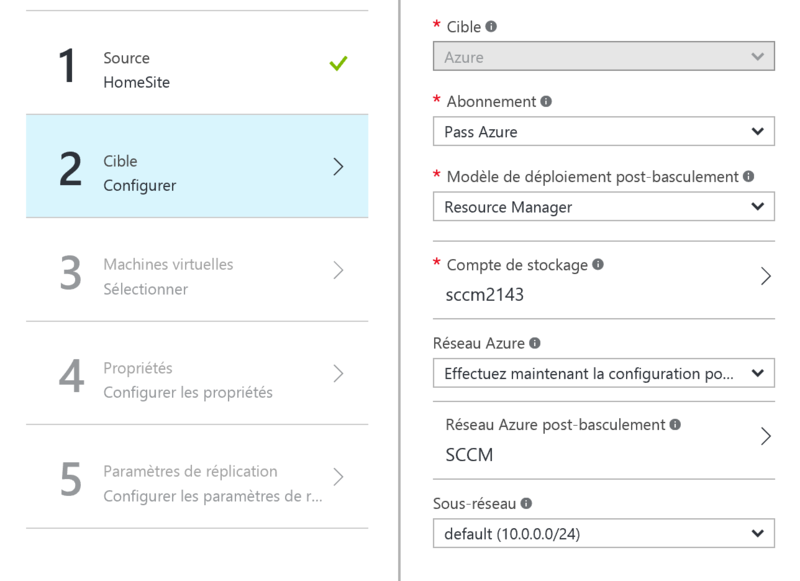 The agent will perform replication of data to Azure storage also using the Https Protocol. Before using the tool, it is necessary to be able to validate the prerequisites. You can find these here. On the last point, it can be of type LRS or GRS. The account must be present in the same area that the Safe Recovery Services. The capacity of a disk shall not exceed 1023 GB, it is nevertheless possible to have up to 64 drives. When using teaming (NIC association), only a network card will be used in Azure. About the Linux virtual machines with a fixed IP address, this scenario is not supported. 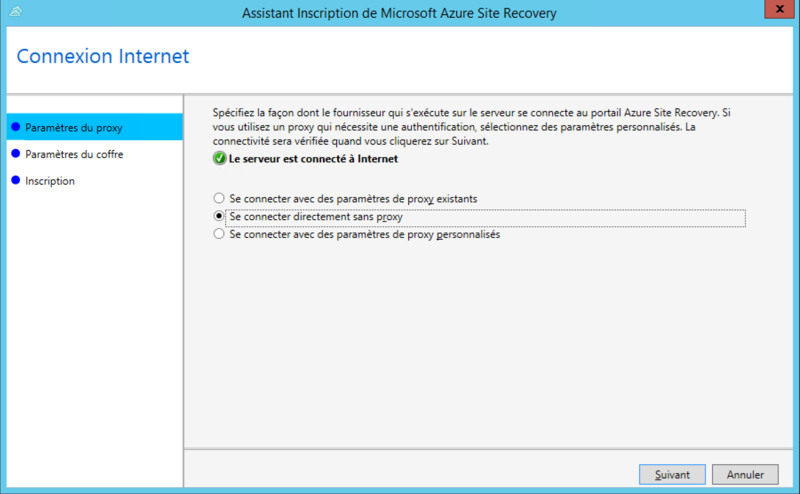 It is necessary as a first step to setting up a network Azure. Reminder must be in the same region as virtual machines. Subsequently, a storage account must also be created. 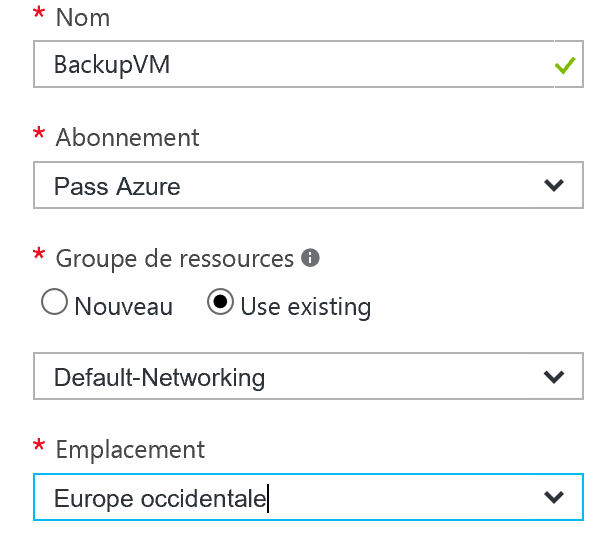 Article Backup File Azure and Azure VPN details these operation. Subsequently, the Backup and Recovery Services can be created. 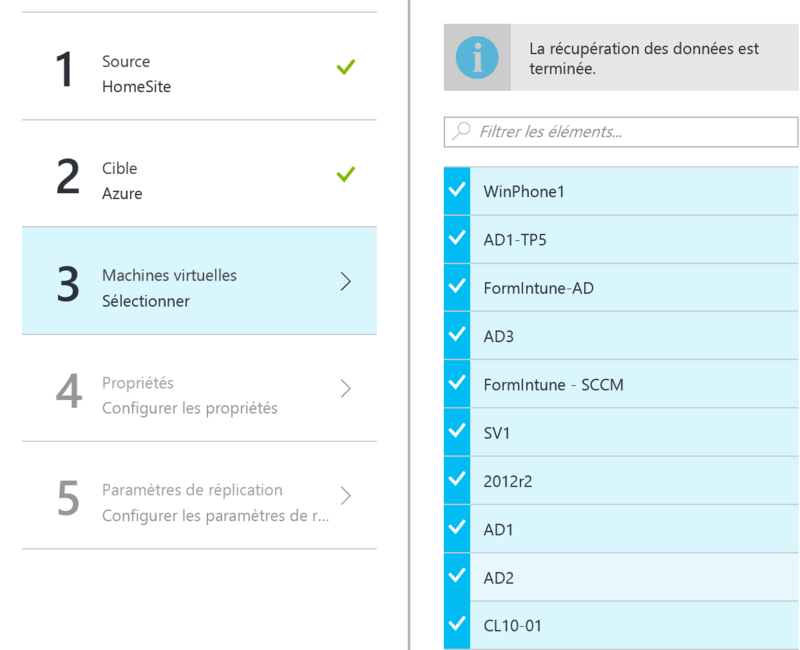 Navigate to the Azure portal, and then click New. 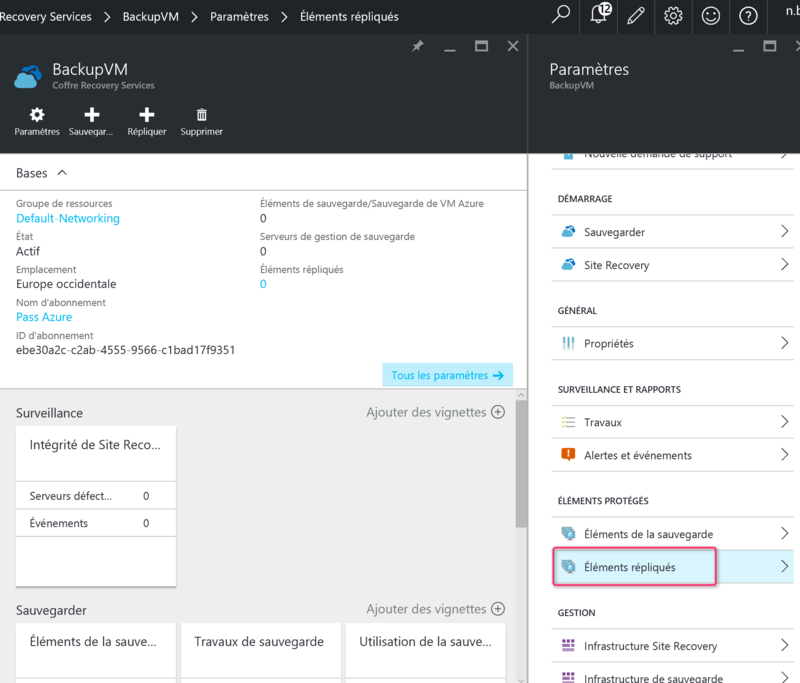 Select Management and Backup and Site Recovery (OMS). Enter the desired name and select the desired subscription if you have several. It is possible to create a resource group or to use a previously created. Next click Create. Click Browse and then click Coffres Recovery Services. Select the previously created object, and then click settings. 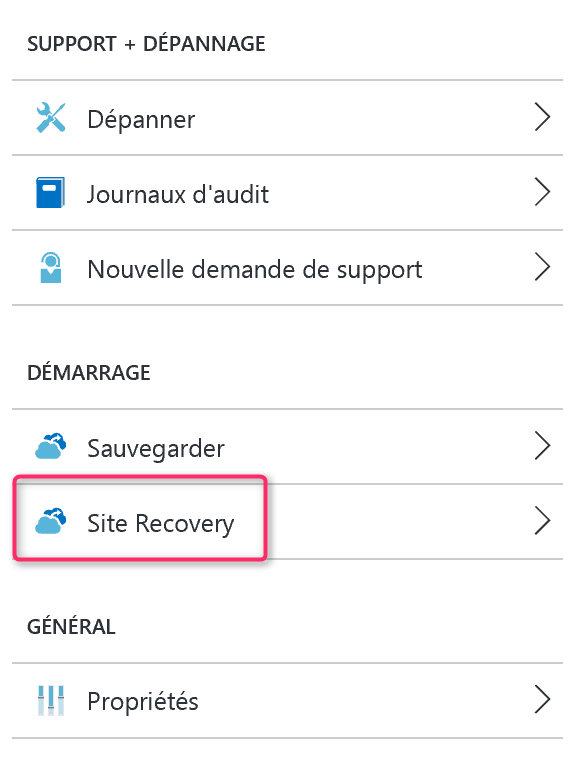 On the Start menu, click on Site Recovery. 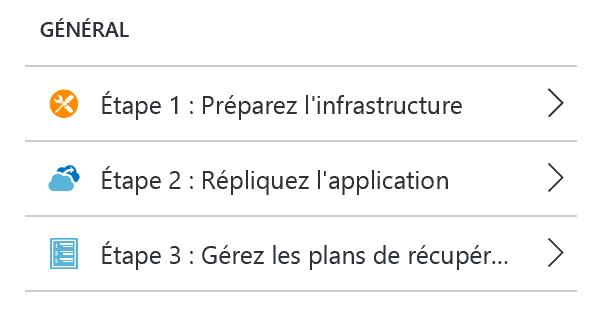 Three steps are to run, click step 1: prepare the infrastructure. 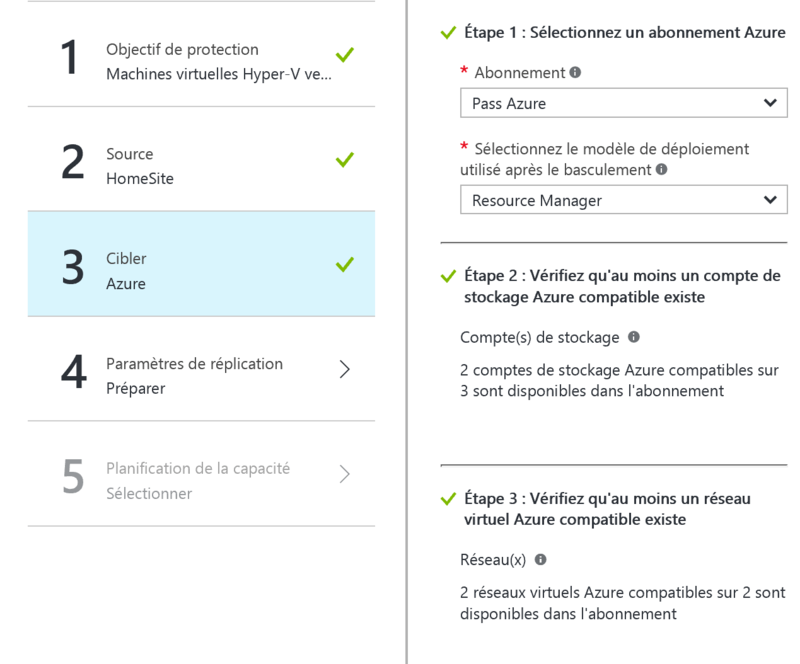 Select the place or should be replicated VMs as well as the hypervisor. Click OK to validate your choice. 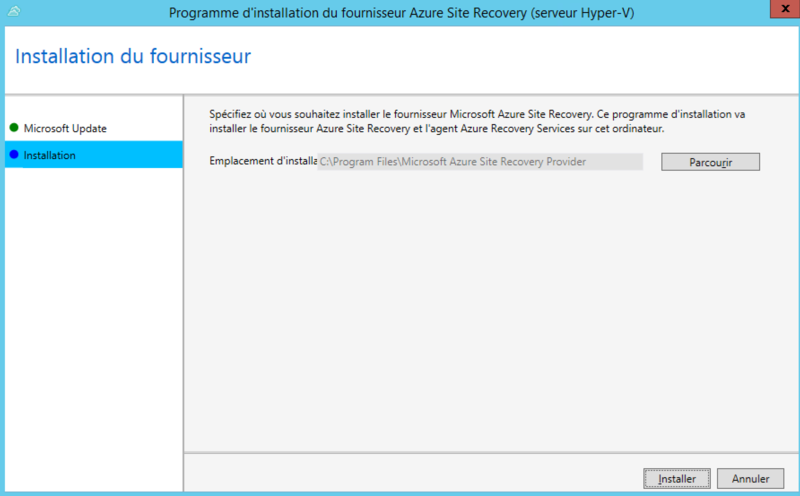 It is now necessary to configure the source for this environment click on + Site Hyper-V. Enter the name of the site and click OK. 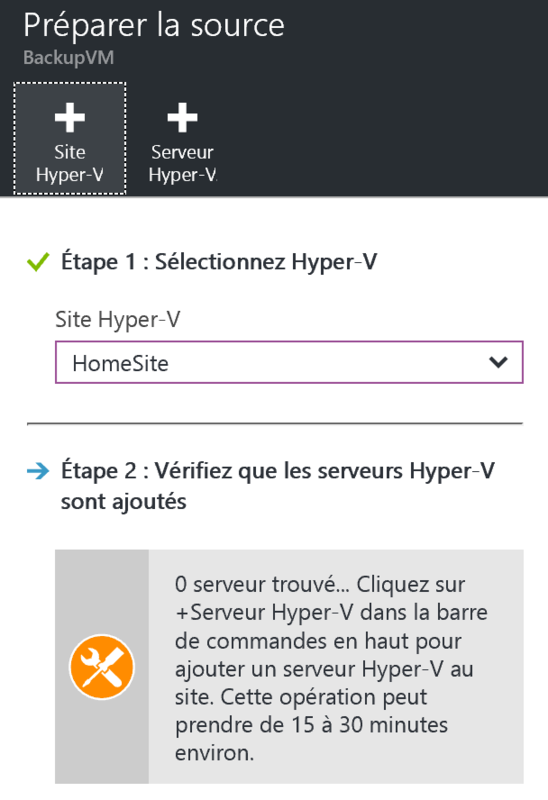 Following the creation of the site, click on + Hyper-V Server. 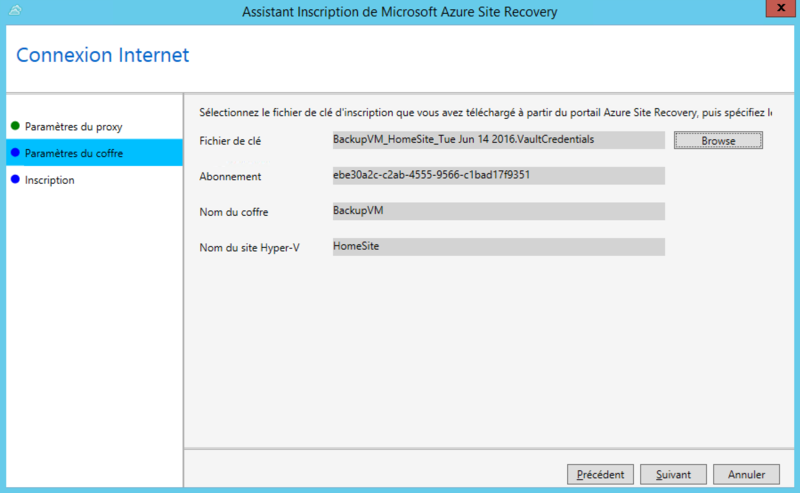 Step 3 and 4 using retrieve setup for the Microsoft Azure Site Recovery provider and registration of the trunk key to enter a site Hyper-V host. 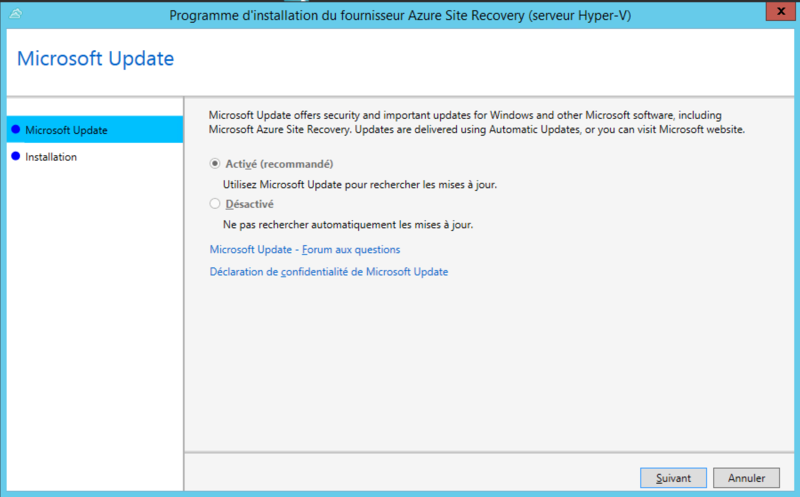 Run the installation file on each Hyper-V host. In the Microsoft Update window, leave the default choice so that the agent updates is collected from Windows Update. Once all the operations validated, click register. Configure the connection type you want (with or without proxy). In the case of use of a proxy, it is possible to use the existing settings or custom settings. In the parameter of the boot window, select the key file using the Browse button. At the end of the operation. 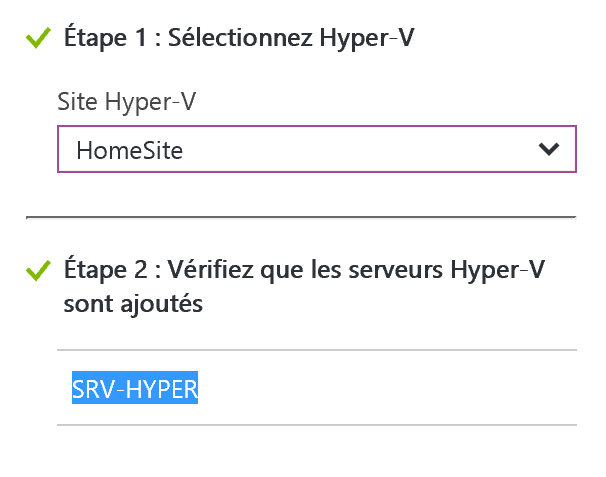 The name of the Hyper-V server appears in the Azure Portal. 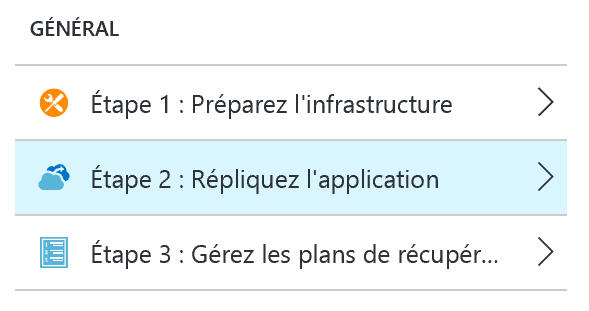 Go to step 3, the latter will make it possible to validate that there is at least one virtual network in Azure. 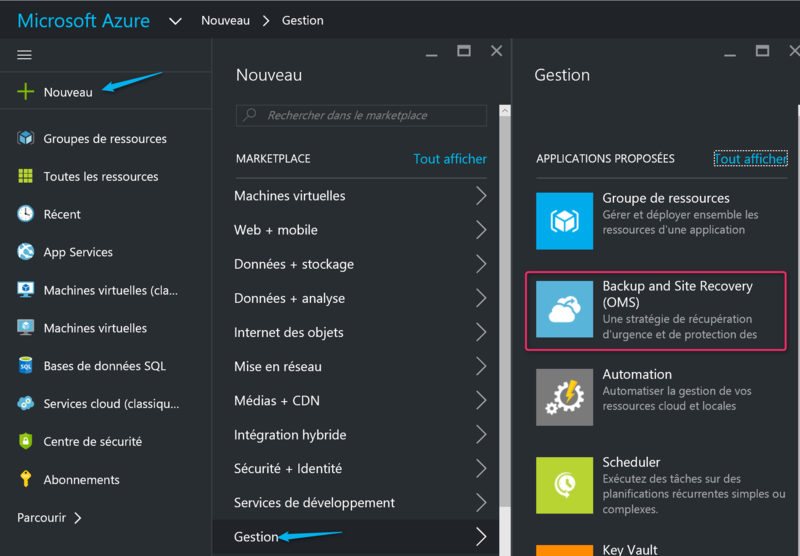 It is possible in this step to create a virtual network as well as a storage account. Click on step 4: replication settings and then click + Create and associate. Enter the name you want and the frequency of copy. As a model, I have configured a point of retention of an hour. It may be necessary to increase this time in production. In order to limit the reduction in application performance, application data snapshot was configured at 12. For this it is necessary to enter the value in frequency of snapshot of consistency in the application in hours. Configure the initial replication start time and click OK.
Click Step 5. 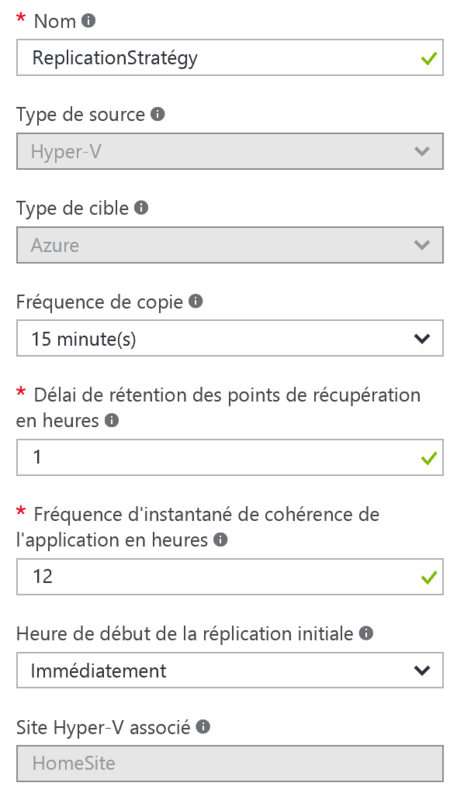 In order to ensure the proper functioning of replication in Azure, download and run the Capacity Planner tool. The latter allows to estimate bandwidth network and the necessary storage. After you have validated the bandwidth and storage required, click Yes I did it in order to validate step 5. Click OK then. Click Source, and then confirm the source. Click on target in order to configure the storage you want as well as the VLAN to use account. 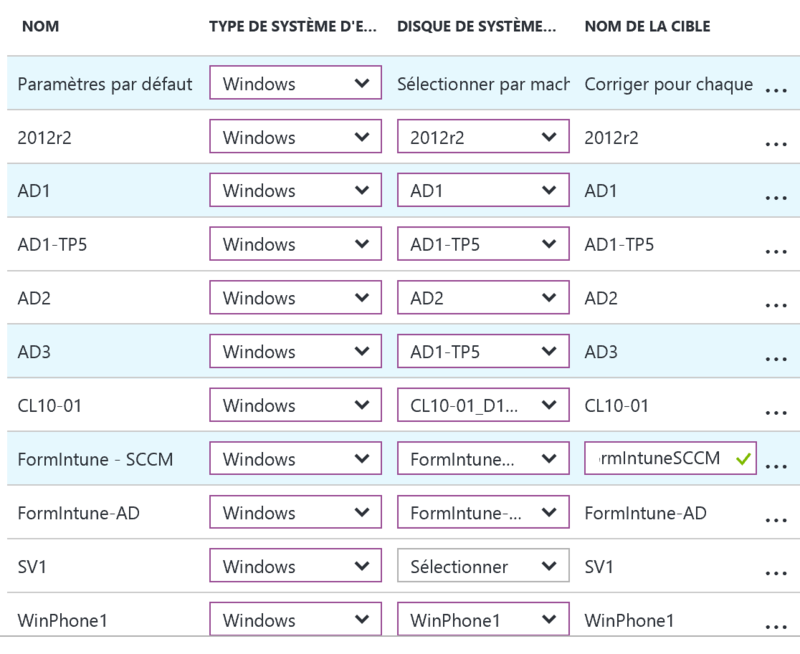 In step 3 Virtual Machine, select the virtual machines that should be replicated. Following activation, return in items replicated to track the status of replication.